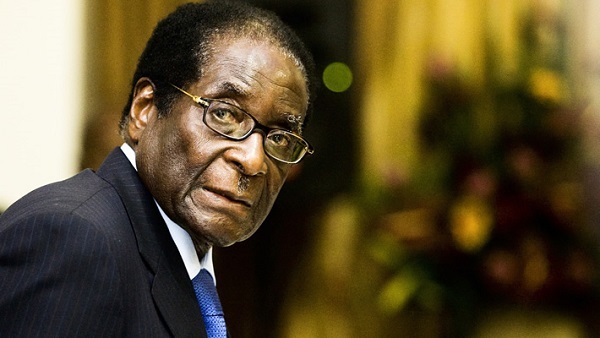 ZIMBABWE – Police have arrested a former policeman for allegedly claiming President Robert Mugabe has gone insane and was now incapable of solving the country’s myriad problems. Fredy Munemo, 42, was on Wednesday charged with insulting the country’s long time ruler and his wife Grace in contravention of Section 41 (b) of the Criminal Law Codification and Reform) Act Chapter 9:23. Police at Harare Central Police’s Law and Order division charged Munemo for allegedly “engaging in some disorderly conduct in a public place” in Ruwa. Munemo is now employed as a casual worker at a local hospital after being hounded from serving as a police officer in 2008. Police officers led by Detective Constable Katetsi alleged that Munemo, a Ruwa resident, committed the offence during an altercation with a serving police officer over the poor state of the country’s economy. “Mugabe akadhakwa, haachaziva zvaari kuita (Mugabe is hopeless. He has lost marbles),” Munemo is alleged to have said. Munemo allegedly told the unidentified serving police officer that had it not been for Mugabe’s mismanagement of the country’s once prosperous economy, they would not have been squashed in a pirate taxi vehicle commonly referred to as “mushika-shika”. The unnamed serving police officer who was treated as an informant construed Munemo’s utterances to be abusive and meant to insult the Zanu PF leader. The cop further accused Munemo of uttering some unprintable and abusive words, which he claimed were meant to insult Mugabe’s wife, Grace. Initially, the police officers had charged Munemo with contravening Section 33 of the Criminal Law (Codification and Reform) Act Chapter 9:23 for allegedly undermining authority of or insulting President Mugabe. However, they dropped the charges and faulted Munemo for disorderly conduct after his lawyer Sharon Hofisi of Zimbabwe Lawyers for Human Rights (ZLHR) argued that his client had not committed any offence. Hofisi argued Munemo was protected in terms of the Constitution, which provides for freedom of expression as a fundamental right. Munemo was then fined $20 for disorderly conduct. The former cop joins up to 100 Zimbabweans who have been charged under the country’s controversial insult laws since 2010.